A new mesothelioma treatment based on active ingredients isolated from sea cucumbers has shown exciting promise. Scientific researchers at the Medical University of Vienna in Austria discovered that a substance called trabectedin, a toxin the coral-like creature deploys against predators, may be an effective new component to a chemotherapy regimen for mesothelioma. The new possible treatment for mesothelioma has shown success in a preclinical study, both in cell cultures and in animal models. Results showed that trabectedin, in a chemotherapy drug form that has been found to be helpful with treating other types of cancer, is also effective against malignant pleural mesothelioma. An article about the study results recently appeared in Molecular Cancer Therapeutics, the journal of the American Association for Cancer Research (AACR). Preliminary results of a clinical trial now underway in Italy are supportive of these results and suggest that the new mesothelioma treatment may be effective in humans with active pleural mesothelioma. Because of the complexities of molecular biochemistry and cancer, a mesothelioma treatment that looks like a winner in a laboratory experiment may not pan out when tried on real mesothelioma patients. This is one reason why clinical trials using volunteer mesothelioma patients are so vital to the progress of research on this lethal disease. Finding new and successful mesothelioma treatments has long eluded scientists. But in recent years, exciting new approaches in cancer research worldwide may benefit mesothelioma patients and their families. As technology allows imaging and other ways of obtaining information about cancer cells, scientists have come to realize that all types of cancer have more in common with each other than was previously thought. Drugs shown to be effective for one type of cancer are being tried as treatments for other types of cancers. And a new drug may be tested simultaneously as a treatment for many types of cancers, including a treatment for mesothelioma. Trabectedin, now showing promise as a mesothelioma treatment, has already been successfully used clinically for other types of malignant soft tissue tumors and ovarian cancer. At present, a European-based pharmaceutical firm has been harvesting the bottom-dwelling Caribbean sea cucumber and extracting the active ingredient needed to produce the promising cancer-fighting drug. But work is underway to ensure that trabectedin can be synthetically manufactured for therapeutic purposes without overharvesting the sea cucumber and upsetting the ocean’s eco-system. Producing a synthetic form of trabectedin would also help make sure that the potency of the active ingredient can be standardized and safe. Mesothelioma treatment research is also benefitting from a recent direction in cancer research making significant gains. Many of the latest cancer research efforts, including the current study on trabectedin, include an immunotherapy component. Immunotherapy includes treatments that can work in different ways. Some boost the body’s immune system in a very general way. Others help direct the immune system to attack specific cancer cells. The current mesothelioma study involved this second type of approach. Immunotherapy can be used by itself in some types of cancer. But in other types of cancer, such as pleural mesothelioma in this study, it seems to work better when used with other types of treatment. The researchers in this new study, led by Walter Berger, Deputy Head of the Medical University of Vienna’s Institute for Cancer Research, and Alireza Hoda, Division of Thoracic Surgery at the Department of Surgery of the Medical University of Vienna/Vienna General Hospital, already had published their work on studies showing that trabectedin while very effective against pleural mesothelioma cancer cells does not damage healthy pleural cells. 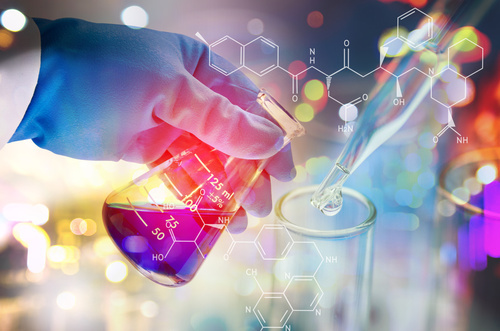 In addition, the researchers were able to show that trabactedin works in favorable synergy with cisplatin, a standard mesothelioma treatment chemotherapy drug. In the current preclinical study, the researchers tested trabectedin on 13 pleural mesothelioma laboratory specimens, six mesothelioma cell lines and two healthy pleural tissue samples. In order to research the potential for combination therapies with trabectedin, the cells that were sensitive to the administration of trabectedin were compared with types of cells that were less responsive. The researchers found that trabactedin was most effective when used with other immune system-enhancing drugs that blocked the protection of the pleural mesothelioma cells. “Using bioinformatics, we were able to show that the increased formation of the protein bcl-2, which prevents cell death, reduces the effectiveness of trabectedin,” the researchers explain in the published article. As their next step, the scientists treated the malignant cells with a combination of trabectedin and the bcl-2 inhibitors obatoclax and venetoclax. They found that when trabectedin is combined with these bcl-2 inhibitors, there was a significant increase in the destruction of malignant pleural mesothelioma cells. It is hoped that the results of the clinical trials now underway in Italy will support the preclinical trial findings on this promising new approach. A new mesothelioma treatment option is needed. At present, the main types of treatment include standard chemotherapy, radiation and if the mesothelioma has not mestasized, possibly surgery. While these options can buy precious time for a mesothelioma patient and some mesothelioma patients are living beyond the two-year survival rate, there is room for improvement. At present, mesothelioma remains an incurable cancer caused by exposure to asbestos.